Professional Blogging — DIY or Outsource? There are dozens of reasons to employ professional blogging; from engaging with your audience to increasing conversions and SEO, blogs can be a marketing powerhouse. For some organizations, running a well-maintained and high-quality corporate blog makes the difference between flat search engine rankings and top tier placement. The critical question is: Should your company retain ownership of the content on your blog, or should you hire a professional team to do the work for you? The answer: It all depends on your expertise and bandwidth. Is It Really More Expensive to Outsource? For starters, if you already have even one marketing expert on staff, owning your corporate blog internally could be the perfect extension of your existing team’s expertise. Before contracting with outsourced experts, consider if you truly have the internal talent and bandwidth to create and maintain a professional blog. Remember that blogs require daily maintenance to be successful in reaching your revenue and traffic goals. If you don’t have an internal team that can write quality content, respond to user comments, and design a polished and professional look, it will cost you more in the long run to employ a DIY methodology, because without these skills your blog won’t move any needles. Unless you know you have the time and expertise, outsourcing your blog will actually save you both in the long run. Clearly, this is the best option from a quality and branding point of view. No one knows your products and services better than you. No one knows your clients better than you. You’ve got the most expertise and the best chance of writing content that is the perfect fit for your site. By keeping your blog under your own roof, you retain full control over every function. Costs are controlled, content tone and style are all driven in-house, and you’ll never have to worry about contractors missing deadlines. Every post will be authentic and full of relevant knowledge — critical attributes to any well-trafficked blog. The real problem companies see when they take the DIY approach to is consistency. It’s clearly not realistic to assume you’ll have someone on staff who is fully dedicated to your blogging efforts. Chances are your existing team is already task-saturated with various urgent marketing and content-related responsibilities. A blog that is not consistently updated and monitored quickly loses its readership, and for good reason. Most digital content becomes outdated in a New York minute, so keeping things fresh and current is very important. 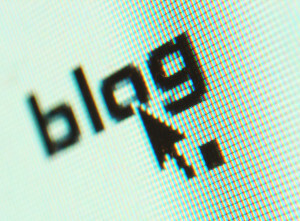 Blog posts need to adhere to ever-changing SEO tactics in order to get the biggest bang as well. Hiring a team of content experts will ensure you have professionals who watch every last trend in search engine algorithms, and can constantly monitor results to make sure your rankings are moving in the right direction. If you do not have an SEO expert on staff, you should definitely outsource your corporate blog. Take an honest look at your company’s content goal and your current expertise and time availability. Don’t try to squeeze your blog into an already overworked team. If it’s not readily apparent that you have just the employees to create a stellar blog that your competitors will envy, it’s time to call in the experts.